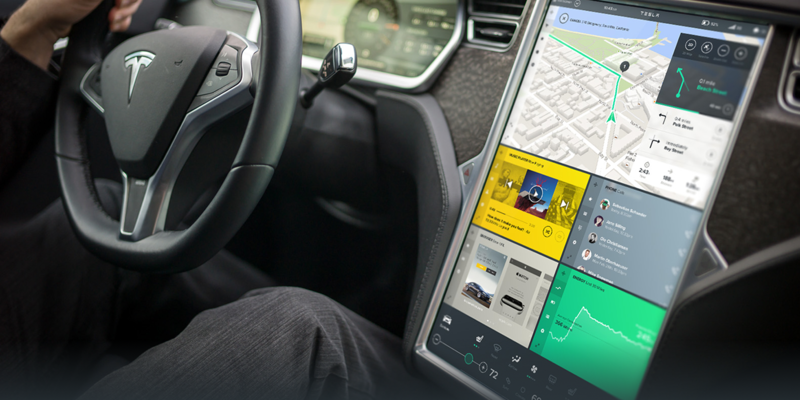 Since Tesla launched the Model S in 2012, the automaker has been talking about releasing a software development kit (SDK) to create a full third-party app ecosystem for its 17-inch touchscreen, which acts as a center console for the Model S and X, but despite several inquiries from eager app developers, there has been little communication about the project until now. There are currently a few apps available for the Model S, but they are web browser-based, which offers its own set of limitations. I would assume most developers were hoping for a full native SDK, but the capacity to mirror apps would be considered a step in the right direction. Tesla’s strategy change might be due to worries over the security risks of releasing such an SDK. The Model S has been technically “hacked” before, but it required physical access to the vehicle. The hackers literally had to rip off the dashboard, connect a laptop and send a software command to start the car – basically presenting an alternative to “hot-wiring” an electric vehicle. The real threat is considered to be remote access as some are worried that the SDK could facilitate such a breach. Apple CarPlay or Android Auto integration, which relies on projecting data from smartphone apps, are believed to be relatively safe options to integrate app ecosystems in cars and plenty of manufacturers have jumped on board, but Tesla has been so far staying away from a direct implementation of these systems.